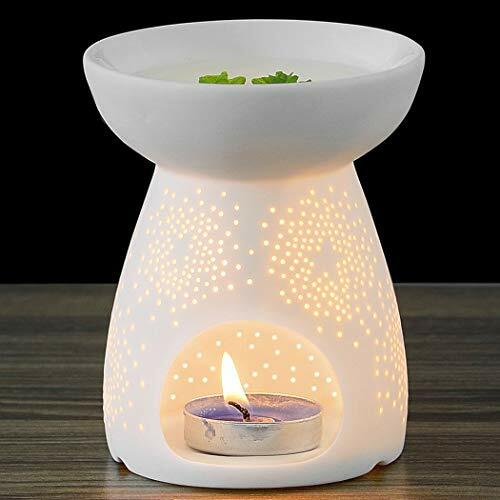 Candle diffusers (heat diffusers or ceramic oil burners) are much like electric aromatherapy diffusers. The only difference being in the way the oil is diffused in the air. Unlike electrically operated diffusers, in a ceramic candle diffuser 8 to 10 drops of oil are added to water in a small ceramic bowl. The bowl is then warmed up with a tea-light candle. When it is warmed up it is the water in the ceramic bowl that gets vaporized. The healing vapors spread in the room affecting the body and mind of the individual positively. Ceramic candle diffuser or oil warmers imposes no ill effect and can be used in an easy way. You just need to take care when warming them up with an open candle flame. When it comes to buying these beautiful candle diffusers online, there are various designs and styles available. Some are made traditional while others look like modern ceramic bottles with comfortable openings. You just need to find out the best as per your requirement and lifestyle.